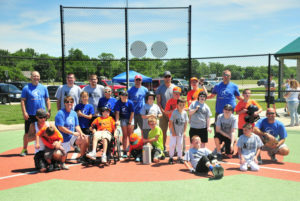 League of Miracles is preparing for its new season and welcoming new players with special needs. First games start June 8. All players are welcome. The League is also in need of volunteers for concessions or other opportunities. If you, or a Sycamore Services program participant you work with, is interested in being involved with the League, please let them know of your affiliation with Sycamore when you register. League of Miracles is a sports complex specifically designed for people with special needs and their families to participate in recreational opportunities. The League of Miracles is located just minutes from Plainfield, Greenwood, and Indianapolis, at 7101 E Landersdale Road, Camby, next to Madison Township Fire Department. To register for the League, visit https://www.leagueofmiracles.org/. Thank you to Hendricks County Community Foundation for the generous grant that made this website possible. (c) 2019 Sycamore Services. All Rights Reserved.